The 3D printed sports equipments are here! 3D printing and sports: The 3D printed sports equipments are here! 3D printing in sports is possible. We saw in a previous blogpost that 3D printing is a major asset for winter sports: it has even been used during the Olympics. Indeed, additive manufacturing is allowing mass customization, and it is actually a great asset for this industry. We are going to see in this blogpost how the additive manufacturing technology can revolutionize the sports field. Then, we are going to check what the best sports equipments made with 3D printing are. Aerospace, medical, architecture, a lot of different industries are using the 3D printing technology. Why couldn’t athletes also make the most of it? Additive manufacturing is an amazing method to 3D print for just any industry. Indeed, this technique allows to make many iterations with lower costs. The process is quite simple: you just have to modify your 3D file with a 3D modeling software to print a brand new version of your future product! You will obviously save time using additive manufacturing for your prototyping process. You can also use 3D printing to produce your finished products. The 3D printing technology allows to manufacture products with a really good quality. It is also possible to print really complex designs in just one part with this technology. Additive manufacturing can help you to optimize your product, as it is allowing you to work on complex designs that are not feasible with traditional manufacturing processes. One of the most interesting advantages of 3D printing for sports is obviously mass customization. Indeed, the 3D printing technology is perfect to create customized items, and it could totally benefits athletes, that obviously need the best equipments to focus on their performances and give the best of themselves. It is particularly a good news for athletes with a handicap. Indeed, 3D printing is already well used in the medical industry to manufacture prosthesis perfectly adapted to their morphology, to their handicap but also to their sport. It could allow them to forget the handicap and focus on what they are doing without being disadvantaged. We saw that 3D printing was a helpful manufacturing method to create snowboards or ski equipments. But this technology is not only helpful when it comes to winter sports. From sport shoes to golf clubs, let’s see how it is actually possible to implement 3D printing in any sport. 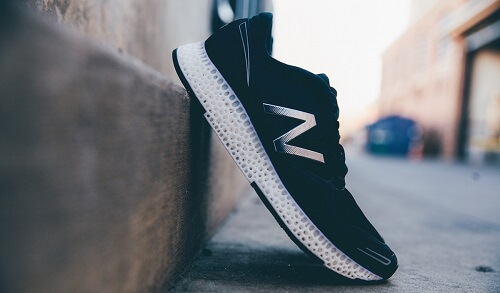 Additive manufacturing is a great asset for the footwear industry. Brands like New Balance, Adidas or Nike are already using this mass customization technique. For example, Adidas used Carbon resins to create 3D printed soles for running shoes. Smaller businesses such as Feetz are also making the most of this technology, offering to their clients soles adapted to their feet. For sport, it allows to make shoes adapted to the athletes morphology. Moreover, this process allows to avoid months-long processes, as the additive manufacturing technology is really a time saving manufacturing process. It is possible to get an adapted pair of shoes in no time! At Sculpteo we wanted to show our clients that it is possible to create a whole bike using 3D printing and laser cutting. And we made it. We developed a bike with 70% of parts created with digital manufacturing, using our online laser cutting and 3D printing service. Each golfer is unique, and Grismont Paris really understood that. That is why they decided to develop custom made clubs. 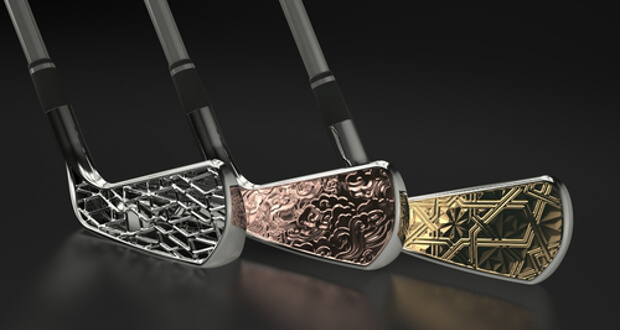 These clubs are useful, adapted to the player and his playing technique, but they also have incredible designs. The founder is a golf passionate interested in additive manufacturing. He is now working with engineers, craftmen, club makers and artists to build impressive golf clubs, able to fit any golfer’s specifications with style. We talked about 3D printed prosthesis previously in this blogpost, here are some examples showing their usefulness for the sports field. Arielle Rausin developed her own 3D printed gloves for wheelchair racing. This equipment is so useful and durable that other 3D printed gloves will certainly be printed for the whole team. The 3D printing technology really allowed her to design gloves that were perfectly fitting her hands, to feel at ease and become even more efficient during the races. Denise Schindler lost one of her legs in an accident. Thanks to a 3D printed prosthesis she is able to compete in the Olympics. What are the advantages of this prosthesis for Denise Schindler? Actually, the prosthesis has been cheaper to develop than a traditional prosthesis, and it has been manufactured in no time. Last but not least: this leg is perfectly adapted to the rider, and to the bike! 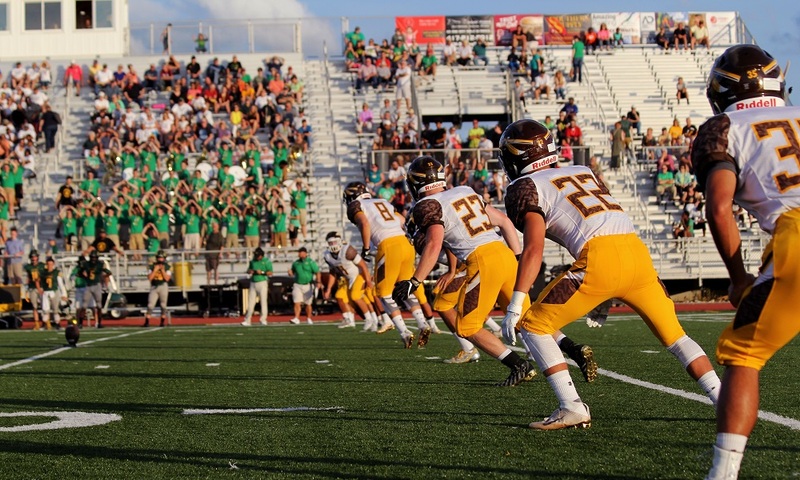 Custom made protections are essential for athletes. 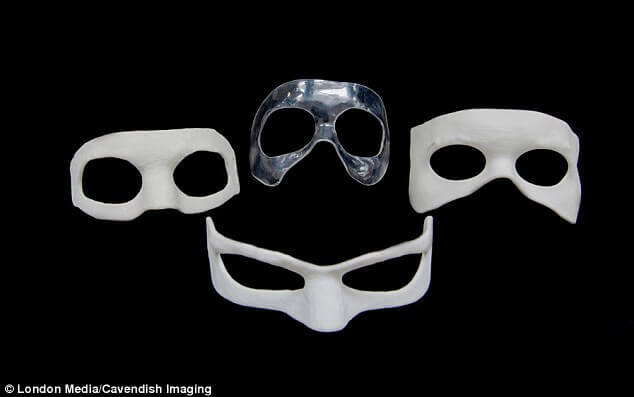 This 3D printed equipment is particularly dedicated to footballers suffering from recent facial injuries. This mask is looking like a Zorro mask, but it allows them to play while recovering from a bone fracture, a broken nose, etc. How is it made? Simply with a 3D scan of the player’s face, made using Cavendish Imaging. It is allowing to get a custom made mask for the player to protect its injuries. Athletes have to wear mouthguards for the practice of some sports. These have to become even more accessible. Indeed, the Center for Disease Control and Prevention (CDC) reported that each year, 600 000 emergency visits are due to dental injuries. 26% are sports-related. The science-based company Royal DMS based in Netherlands made a partnership with 3Dmouthguards . Their will is to create 3D printed, sustainable protection gears for athletes, combining comfort and safety. A flexible thermoplastic is used to create these mouthguards. 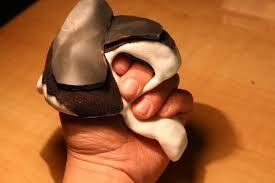 Thanks to accurate 3D scanning methods its is now possible to make adapted mouthguards. For example, companies like Damage Control developed their own scanning process (the 3 Shape Lab Scanning) and are able to get a digital version of your teeth, to create mouthguards and 3D print them. It is now possible to use 3D printing to get customized products and the sports sector is really making the most of this technology. Indeed, the future of 3D printing seems really promising in this field. As you can see, 3D printing has many advantages for different industries and sports is one of them! What do you think about using 3D printing for sports? Let us know! If you want to get the latest news about all the possible 3D printing applications, be sure to subscribe to our weekly newsletter!